Vuejs DevTools is a browser DevTools extension for debugging Vue.js applications. The latest version of Vuejs DevTools, v5.0.0 is released. The latest version of Vuejs DevTools, v5.0.0 is released. The project was published by @Akryum today via on Github: https://github.com/vuejs/vue-devtools/releases/tag/v5.0.0 and has several new and improved features and several fixes. Vuejs DevTools is a browser DevTools extension for debugging Vue.js applications. 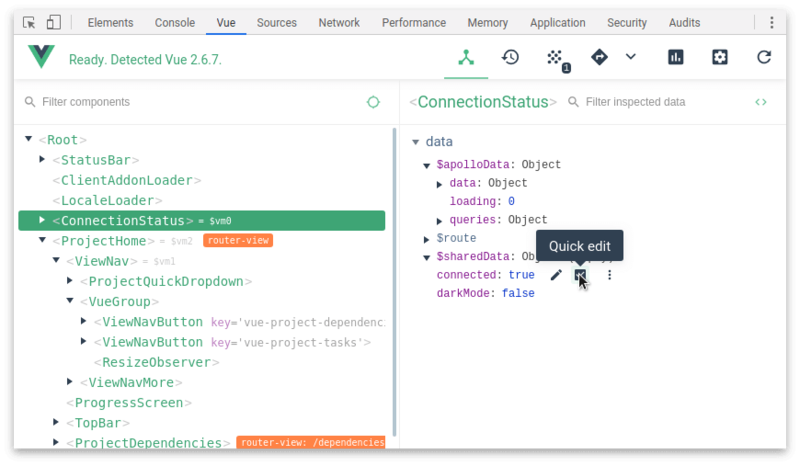 Vuejs DevTools is available as a Chrome Extension, a Firefox Addon, and a standalone Electron app that works with any environment.